Known for providing design engineers with a comprehensive range of military-qualified resistive precision devices, Token Electronics Advanced Metal Film has further expanded its military product capabilities. 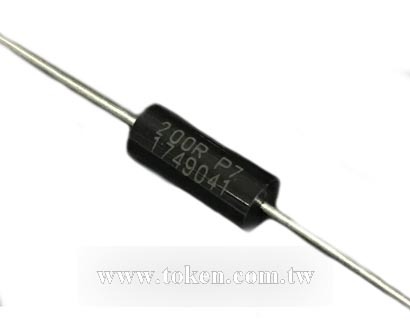 These cost-effective high precision moulding resistors meets ROHS requirements, MIL-PRF-55182, and GJB244A-2001 quality standards. 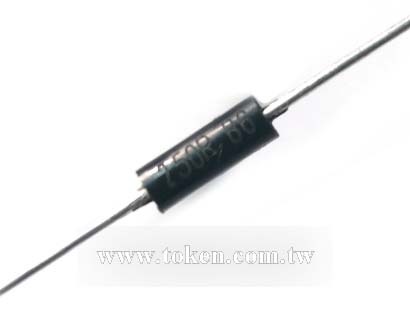 EE Series manufactured by depositing a homogeneous film of metal alloy onto a high-grade ceramic body, the metal film resistors are moulded into cylinder shape to provide mechanical, electrical and climatic protection. USA Military/Established Reliability MIL-PRF-55182 in environmental and dimensional requirements. Which is made referencing to Chinese National Quality Standard GJB244A-2001 standards. Medical electronics. Measuring and calibration equipment. High gain feedback applications. Precision Instruments, Avionics. Telecom. 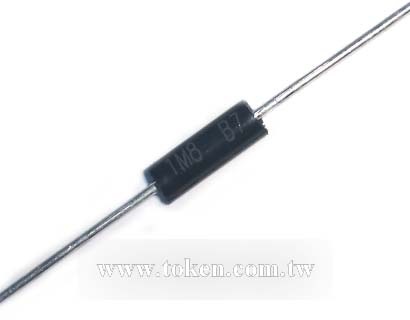 Power Rating :0.125W ~ 1W. Precision tolerance tight to T(±0.01%). Superior electrical TCR performances narrowed to C10 (±2 ppm/°C). Precision metal film, excellent stability and reliability. 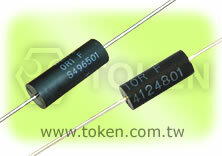 Lead Pb free and RoHS compliant, covers all general type resistors. Contact Token's Representatives if your requirement is not in above range.